Carolina TarWheels: Busy December for the TarWheels! Busy December for the TarWheels! Byron Armentrout (right) from the play. 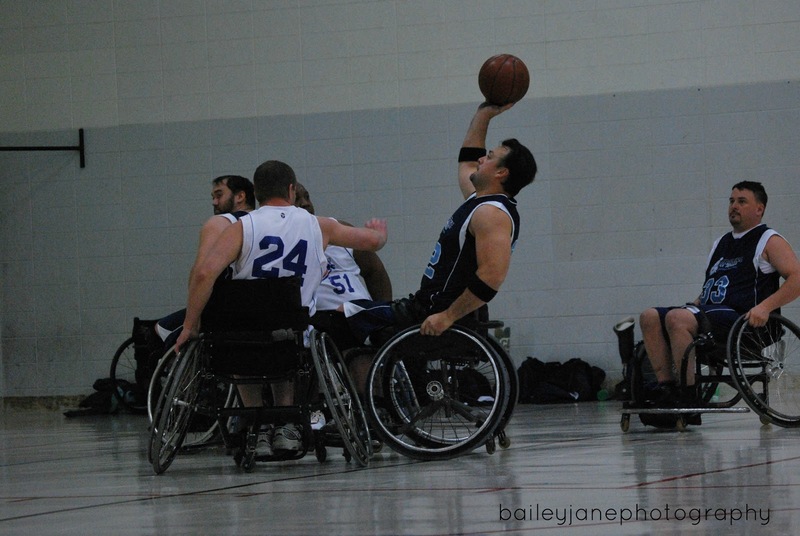 The TarWheels December 1st games at Spartanburg added more wins to the season's totals! The team is now 9-0 on the season and 4-0 in conference play. Two games were played against the Spartanburg Pistons that Saturday, and it was a great opportunity for the team to work on some new defensive looks gone over in practice the previous week. his attack on the defense. The 53-31 final score of the first game was led by Donnie Langford with 13 points. The close to same scores from others on the team speaks to options that are available on the offensive side of the floor. Jeff Brafford scored 12, Roger White & Richard Travis both had 10, and Steve Lister had 8 points. Brafford, Langford, and Jim Goodwin brought in 5, 4, & 3 defensive rebounds, respectively. There were quite a few assists from each of, Langford - 7, Travis - 5, and Brafford with 3. 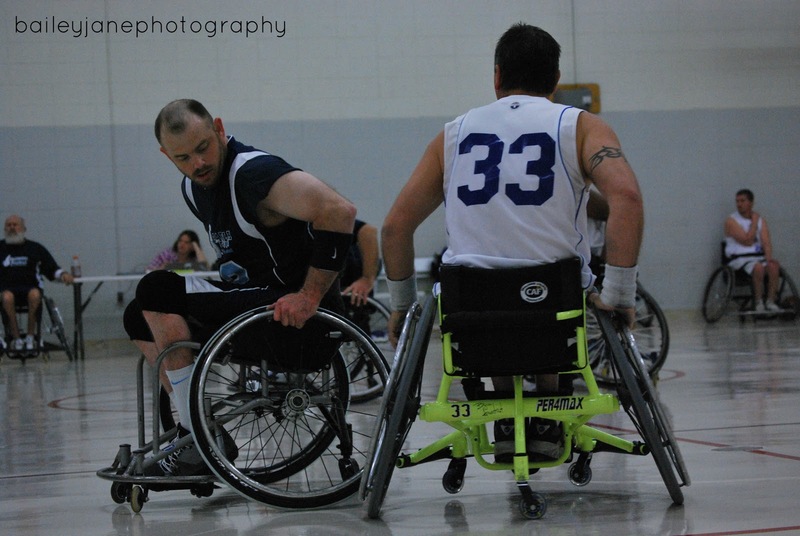 The second game of the double header resulted in a 64-24 final score. Brafford scored 14, White had 12, while Travis, Lister, and Pete Morgan each scored 10. Travis also had 5 assists. Langford led in the assists category with 6. Morgan also had 6 defensive rebounds. The team is ready for the upcoming weekend in Richmond! The TarWheels are on the road Friday morning, a little early compared to most tournaments. 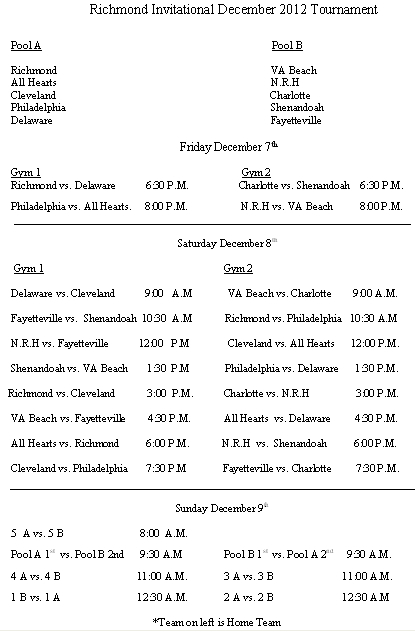 The Richmond Invitational Tournament begins Friday night December 7th at Ft. Lee. 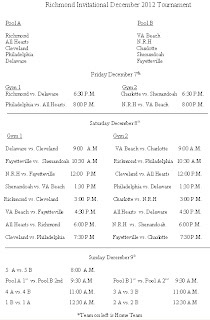 The TarWheels have quite a schedule for the weekend and should see six games between Friday and Sunday! Last year, the TarWheels brought home the 1st place trophy from Richmond. There were some good teams last year, and there is tough competition to get past to make it to the championship game again this year! Practices for the TarWheels have seen some tough and diligent work to prepare for these tournaments, the team is excited and ready to play! With the holidays all around us, there are quite a few things going on for the team on and off the court. Following the Richmond trip, the team will be having an annual fun filled Christmas party at the Langford's! Everyone has a chance to dig in on some of Janet Langford's delicious home cooking and lots of laughs are had as an occasional gag gift is unwrapped! 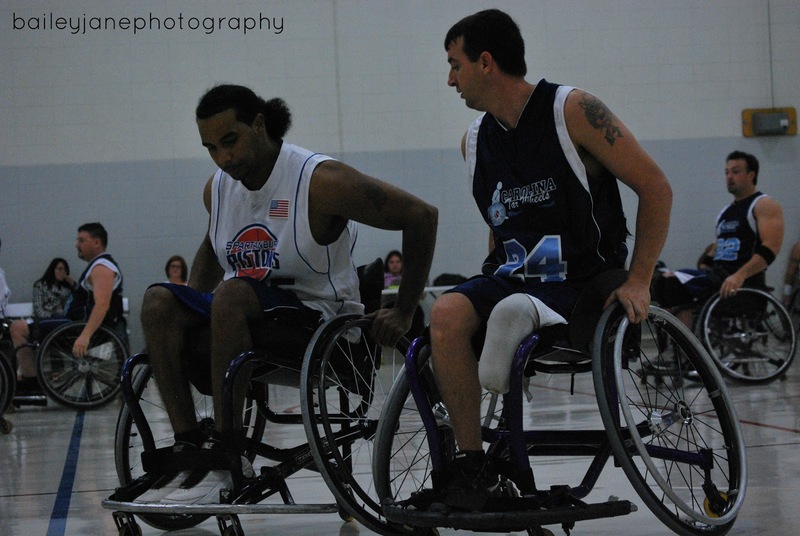 December 22nd, the team will get to have a go for their first time against the newest of the Carolina Wheelchair Basketball Conference's teams, The Georgia Hawks. The team will head to Augusta for a traditional double header held in conference play. As always, thanks to all of our fans, supporters, and sponsors! The TarWheels are continuing to grow and network in the community because of your help!